How this lifestyle leads to such detrimental effects on our health is actually a very complex process. To put it in a nut shell this life style leads to more calories being consumed than burned. This leads to obesity. Obesity causes insulin resistance. Insulin resistance is when the main organs under insulin’s control (i.e. liver, fat and muscle) are no longer responding to insulin. This means higher blood sugar. Higher blood sugar damages blood vessels and makes them more rigid. The consequences are higher blood pressure and arterial plaque formation. The first factor is due to the blood vessels not being able to dilate and contract like before because of increased rigidity. The second factor is due to the damage of the blood vessel wall by high blood sugar as well as increased cholesterol from the diet, smoking, alcohol and stress. Plaques block the flow of blood, leading to organ damage (i.e. heart attacks, strokes, etc.). It takes an awesome feat of discipline to change and reverse this cycle. It literally means changing our approach to eating, supplementing, and exercising. Many of my blogs are very helpful for achieving this, but ultimately it is up to us how much we want healthy and happy lives. Fortunately in all of this we are not alone. Nature has provided us with a lot of miracles of its own creation to support us through this transition and beyond. Believe it or not Garlic is one of them. Garlic (especially aged garlic extract) reduces blood cholesterol and thus prevents its accumulation in the walls of blood vessels. This prevents the formation of arterial plaques. Garlic also dilates blood vessels bringing more blood to vital organs and by doing so decreases blood pressure. High blood pressure is also responsible for arterial plaque formation along with high cholesterol. Additionally, Garlic regulates blood sugar and lowers a substance called homocysteine . Homocysteine contributes to arterial plaque formation and diabetes. 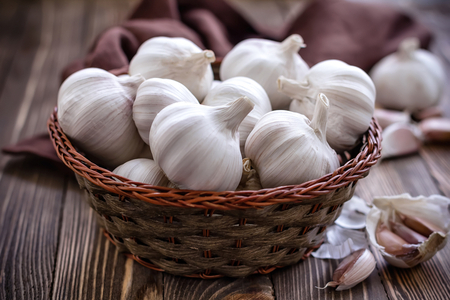 Finally Garlic is a powerful antibiotic helping us fight off many infections as well as preventing them from taking a foot hold in the first place.